Emerald green and Fuchsia Swarovski crystal and Czech glass beads make the pink and orange colours of the faceted Czech fire-polished glass “pop”. Extremely bright and cheerful, this necklace makes a great match with the Erica bracelet. 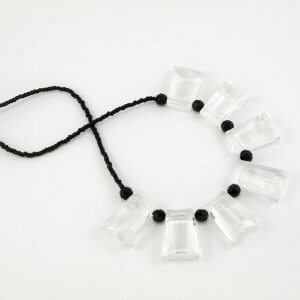 In fact because the clasps are the same it can be used as an extension of the necklace. See Gallery for pictures. The fuchsia Swarovski Crystal with Orange/Yellow Pink and Green Czech Glass necklace is extremely bright and cheerful like a Jewel. Beautiful Jablonex® Czech 8mm faceted round fire polished glass beads in shades of orange, yellow and pink are the inspiration for this design. Emerald green Czech discs, fuchsia and emerald Swarovski crystal bicones, lighter emerald green rondelles and gold plated round spacer beads all make the other colours “pop”. This necklace is completed with a crystal centred gold plated flower box clasp and measures approx 45.5cm long. 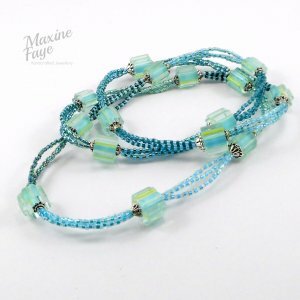 The Erica bracelet is a perfect match and can be used to extend this necklace.